There are 2 variants of Afy Haniff 40 Days Dishwashing liquid, Pandan & Lime (Green) and Serai Wangi & Lemon (Red). Sizes available in 500ml - washes up to 500 dishes and 900 ml - washes up to 1000 dishes. 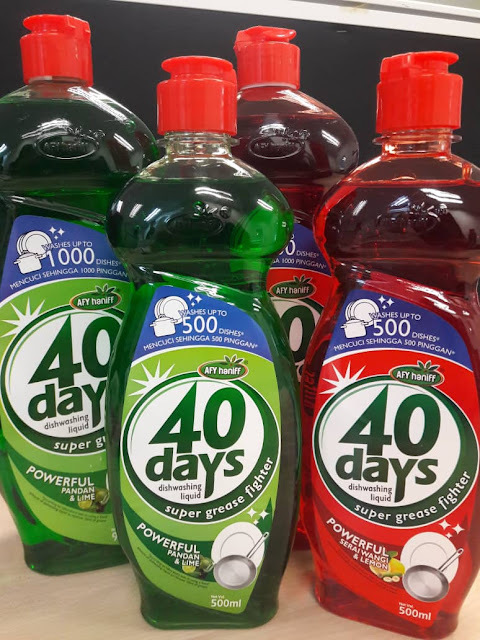 I was quite nervous that it wouldn’t clean as well as my previous dishwashing liquid, but this experience has been truly amazing and Afy Haniff 40 Days Dishwashing Liquid did NOT disappoint AT ALL! Easily clean and rinse, effective in working on grease and dirty dishes - was effective with little of the product being used. Both was light scented and expel bad odour too. Plus, it didn't dry my skin. 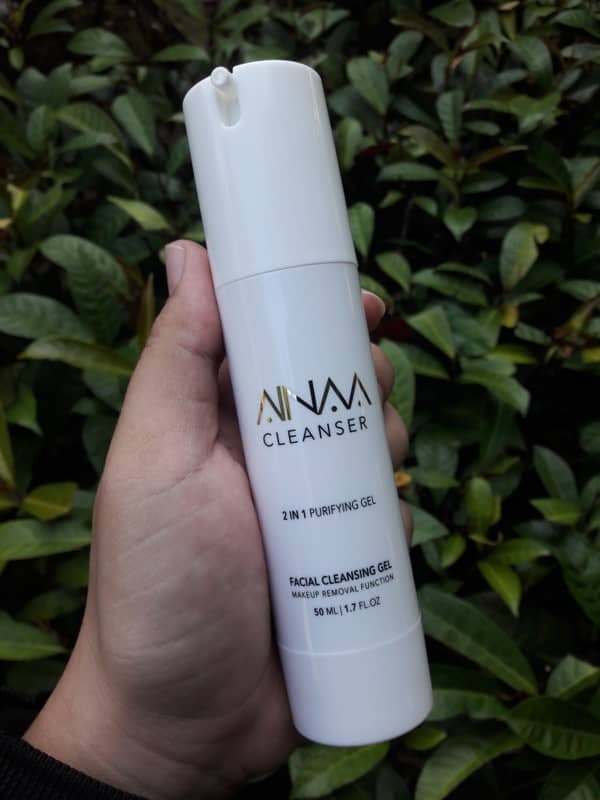 Plash foaming handwash provised multilayer moisture and rich in skin softening extracts leaving your hands moisturized, clean and nourished after removing oil and dirt. 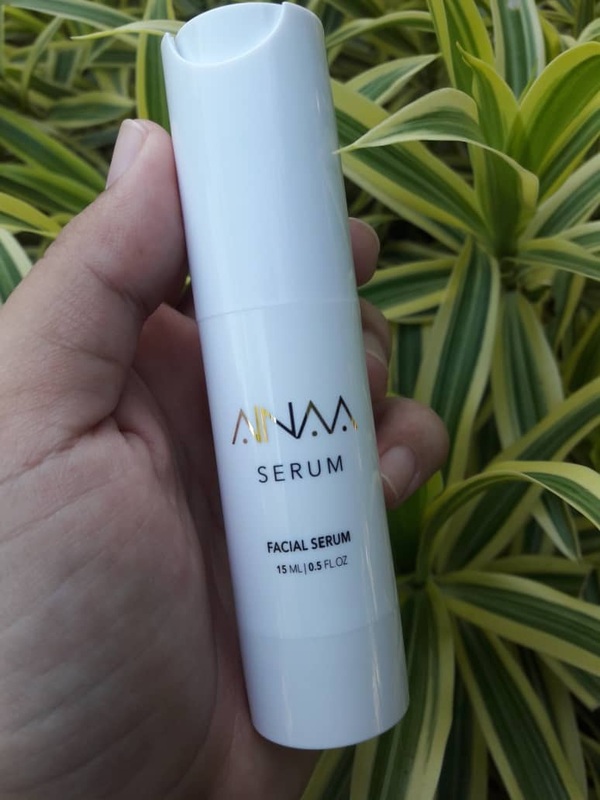 It provides a truly natural nutrition powered with active plant-based ingredients for your skin. 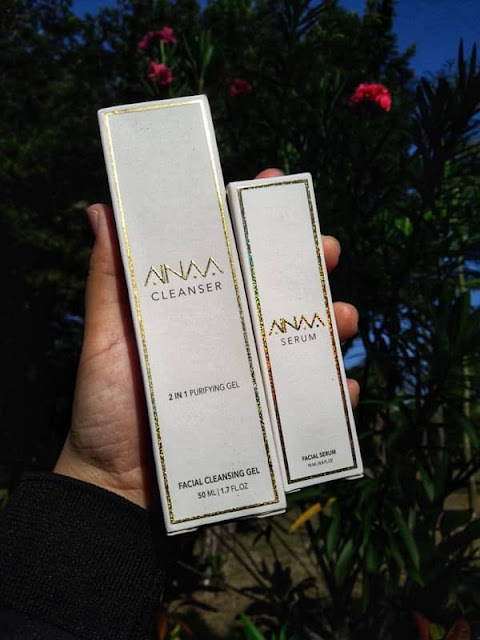 100% free of phthalate, paraben, petrochemicals, silicons and over 400 other potentially harmful chemical that will affect health in the long run, ensuring you a safer choice of natural and enviromentally friendly product. Available in 2 variants: Fresh Aloe and Sweet Sakura - 400ml. 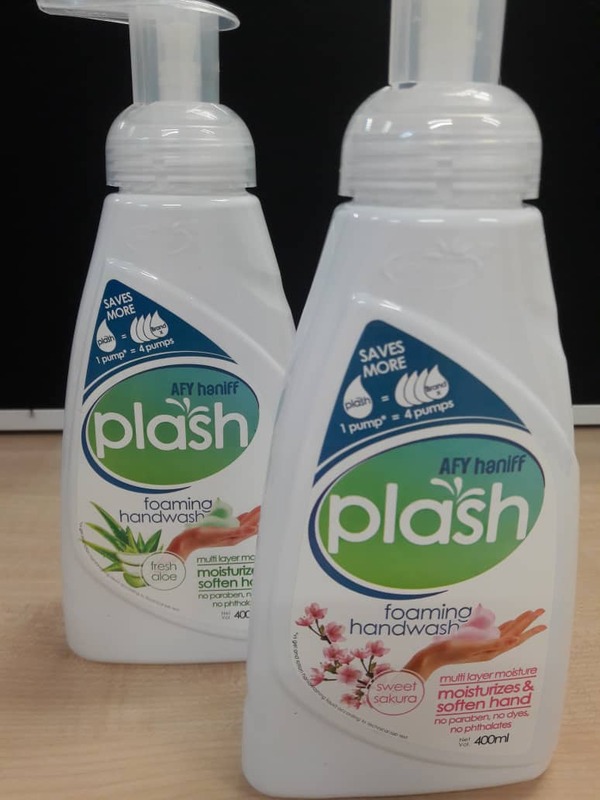 1 pump of Afy Haniff Plash Foaming Handwash equal to 4 pumps of other brand, so you can save more. Overall, I love a good hand soap. Anything that doesn't dry out my hands is a huge bonus and something with a lasting scent is even better. Not to overpowering, just a perfect light scent. It always makes me feel so happy. 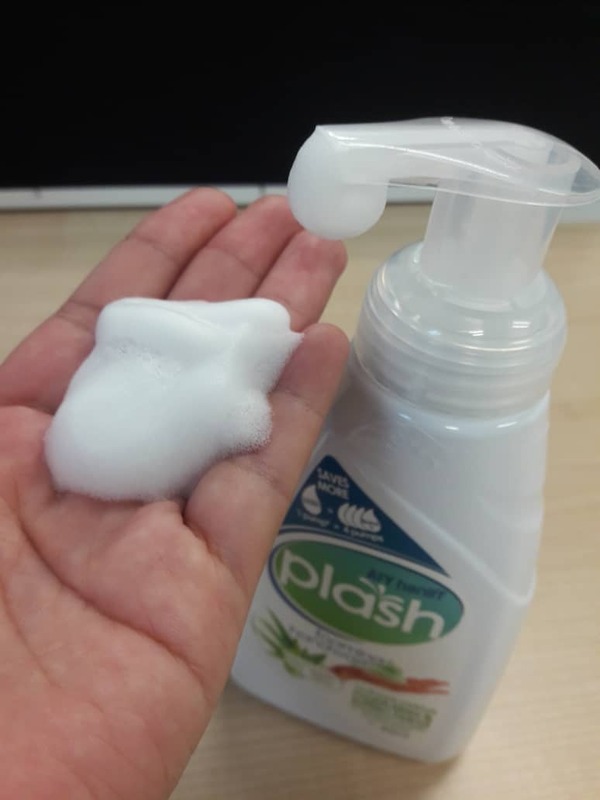 The best part bout Afy Haniff Plash Foaming Handwash? It have special pump which creates a foamy lather and spreads easily on your hand. So in sum, there's plenty to love about this brand and I would recommend this to all of you. 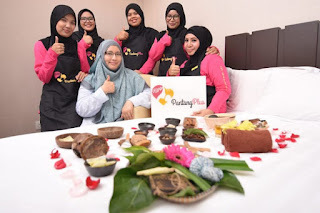 You can get above and other Afy Haniff product online or your nearest supermarket/hypermarket include Giant all over Malaysia.